The Servant Sisters began to live in community in this house. In this community, the Servant Sisters are dedicated above all to working in mass media. Through the E.U.K. Mamie Foundation, we carry out our apostolate through books, magazines, television, radio, and our website. We publish two bi-monthly magazines, one for adults (H.M. Magazine) and one for children (H.M. Zoom+), both of which are published in three languages: English, Spanish, and Italian. Besides a community of professed sisters, the novitiate is also located here. We run a boarding school for 20-25 girls, aged 6-18, who come from dysfunctional families. We also help out at St. Bartholomew Parish. We have been asked to look after the spiritual and pastoral care of Our Lady of the Eagle Shrine, the patroness of the city. 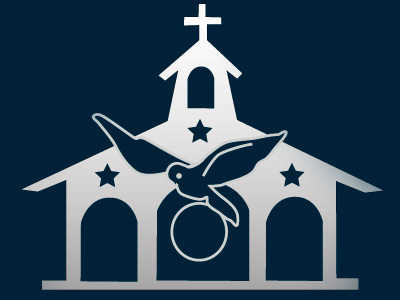 We also help at several parishes: St. James, Immaculate Conception, and St. Matthew, especially working with young people and teaching catechism classes. See Alcalá de Guadaíra's activities here. We carry out our parish work at Our Lady of the Rosary and of Hope in the diocese of Getafe, Madrid. We collaborate with mass media work for both the diocese and for the Home of the Mother. We dedicate ourselves to pastoral care in local hospitals by helping the hospital chaplains in Valencia. We also collaborate in St. John Bosco´s Parish with adult catechism classes and children´s prayer groups. We collaborate in the local parish, Holy Mary of the Rosary, organizing catechism classes, holy hours, and helping out the parish groups. We also take communion to elderly and sick and celebrate the liturgy of the word in nursing homes. We work in the delegation of missions in the diocese of Alcalá de Henares and encourage missionary awareness through talks and activities in schools. We collaborate in the catechism programs of Saint Teresa Parish and Saint Bartolomé Parish. We also evangelize through the social media in the production of videos and recordings, both for the diocese and for the Home of the Mother. You can see the activities in Alcalá de Henares here. From the heart of the Church, we collaborate with different types of mass media for the Home of the Mother: webpage, magazine, radio, and television. One of the Sisters works for the Congregation for the Evangelization of Peoples in the Holy See. We help in the pastoral care at St. Apollonius Parish, such as giving formation, organizing holy hours, helping as Eucharistic ministers by bringing Holy Communion to the sick and elderly, etc. We also take part in producing and distributing the parish bulletin, we´re the coordinators of the parish center annexed to the parish where afterschool care is offered, we teach religion class to grade school children, and we organize activities for young girls and teenagers. There is also a group of Lay Members of the Home of the Mother here in Lumezzane that we help organize. At Assumption Parish, we help out with any pastoral needs, teaching catechism classes, taking communion to the sick, visiting the elderly, either in their own homes or at local nursing homes, and we organize activities for young girls and for families at the parish center which is part of our convent. We also lend a hand at the parish preschool: helping when the children are dropped off at school, praying with them, and helping to give them a Catholic education. Our apostolic work is carried out at St. Cayetano Parish. We also collaborate with local projects that try to elevate the local standard of living. We sponsor over 100 families and the soup kitchens we run help feed 300 children every day. We are in charge of The Sacred Family Education Center, a school which goes from preschool up until high school. There are over 400 students enrolled. We also help at the local parish, as well as in St. Roque Parish at Pueblo Nuevo. See Playa Prieta's activities here. Most of our work is carried out at Our Lady of Loreto Parish and La Consolata School, with over a thousand students and which is located on the outskirts of the city in an poverty-stricken section. We help in the parish activities at Assumption Parish in Jacksonville, Florida. At Assumption School we carry out a variety of pastoral work, including giving religion classes, retreats, taking the children to the chapel in order to prayer before the Blessed Sacrament, etc. Moreover, we also organize activities for university students and for Home of the Mother members.